← Frustrated by the internet? Annoyed by your phone? Help is at the library on Saturdays. 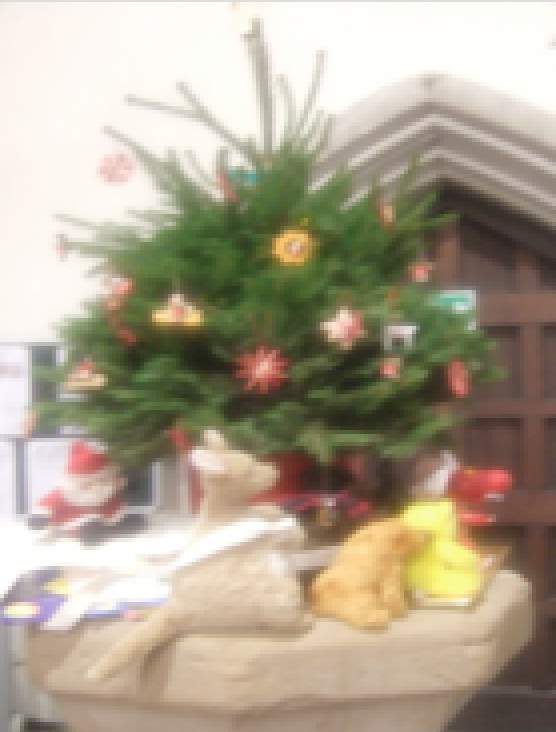 Visitors to the Christmas tree exhibit at St John’s Church saw the Library’s animals rescue poor Santa, stranded on his sack of OwnBooks after his reindeer ran off with the sleigh. Zog the dragon, naturally equipped to be a torchbearer, filled in for the absent Rudolf. (He was excused from his normal flying ambulance duty by Henley First Responders). Those who missed the exhibit were able to see a reenactment at the Library on 23rd December, when visitors were offered mince pies and punch. More mince pies and punch next Christmas!